Henry, the only son of John of Gaunt (the third son of Edward III) and Blanche of Lancaster, was born in 1367. In 1380 he married Mary Bohun, the daughter of the earl of Hereford. Henry was a member of the group of leading barons that in 1387 forced Richard II to accept a council of eleven men to oversee royal government. In 1398 Richard II sent Henry into exile. Henry returned the following year and, after managing to depose Richard, had himself crowned king. 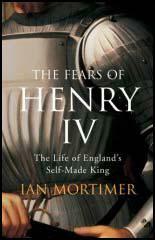 Some barons refused to accept Henry as their king and in 1400 made an attempt to overthrow him. The plot failed and its leaders were executed. It is believed that it was at this time that Henry IV arranged for Richard, the deposed king, to be murdered. For the next few years Henry had to cope with several revolts against his rule. 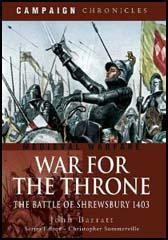 Between 1400 and 1408 he also had to deal with the uprising in Wales led by Owain Glyn Dwr. Henry was also in constant conflict with Parliament over the subject of taxation. In 1408 the king became ill (possibly leprosy) and increasingly had to rely on his eldest son. Henry, to help him rule the country. Henry IV died in 1413.